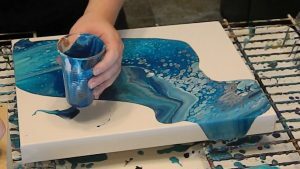 Experience the joy of acrylic pouring in this fun, interactive workshop, You will learn the Dirty Pour, Clean Pour and Puddle Pour methods. We will discuss how to modify your paints with different pouring mediums and how to create different effects. Enjoy personalised guidance from the instructor and interaction with a small group in a studio setting. 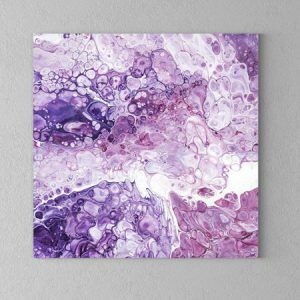 Practise on small panels and then create your own unique artwork on a canvas. No painting skills are needed, just a fun attitude. This workshop is suitable for adults or participants aged 14 and above. Please come “dressed for mess” and wear clothes which you don’t mind getting dirty as paint might stain your clothes in the process. Aprons and gloves are provided. To allow adequate drying and setting, the collection of your amazing artwork will be 2 days after the workshop.